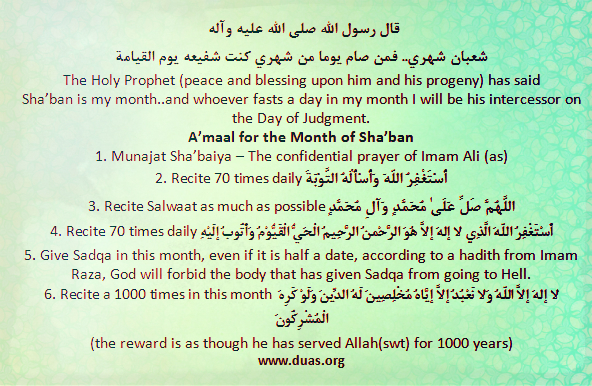 The Holy Prophet said: “Shaa’-ban is my month”. 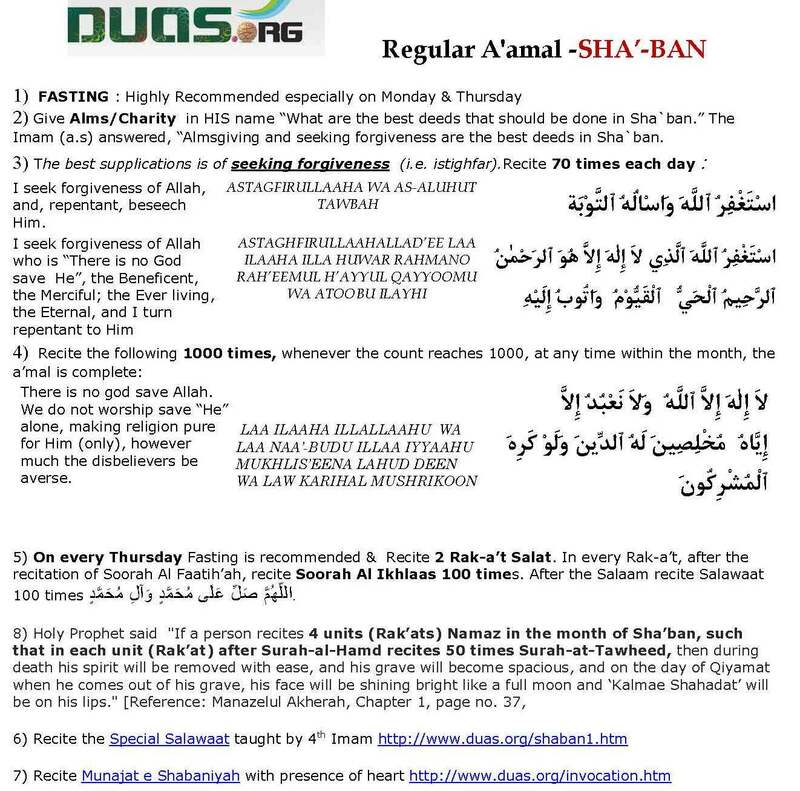 6) Recite Munajat e Shabaniyah with presence of heart. Istighfār during Sha‘bān: ‘Ali b. al-Hasan b. ‘Ali b. Faddāl narrated from his father, who said: I heard ‘Ali b. Mūsā al-Ridā (a) saying: whoever seeks forgiveness from Allah – the Blessed and Exalted, in Sha‘bān seventy times, Allah will forgive his sins even if they were equal to the number of stars.